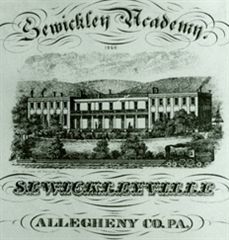 Sewickley Academy is the oldest independent school in western Pennsylvania. 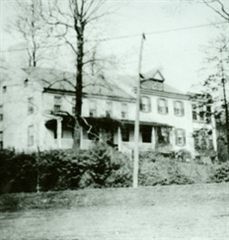 Founded in 1838 as a boys’ school by William Nevin and John Champ, it was housed in Squire Way’s brick house that still stands on Beaver Road in Sewickley. Boarding students came from southern states including Virginia and as far south as New Orleans. They came by steamboat and by rail, joining local day students from the Pittsburgh area. The school underwent several iterations: it was moved four times around the Sewickley area and closed briefly three times, once because of the Civil War when southern students returned home and some teachers and older boys joined the war effort. The school reopened in 1865 as a day school. Two local girls’ primary schools closed in the early 1900s and, integrating these girls into its program, the Academy became a co-educational day school when it settled onto its present campus in 1925. 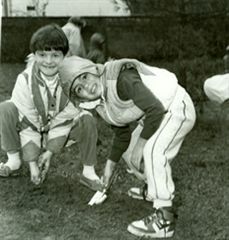 Under the leadership of legendary headmaster Cliff Nichols (1951 – 1981) the school began to expand slowly from a neighborhood school to a more regional school. The Academy only educated students through grade nine for much of its history. 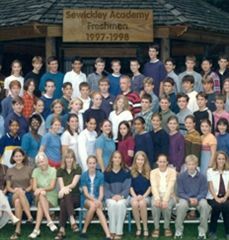 Students left Sewickley to attend boarding schools and other schools in the Pittsburgh area to complete their secondary education. In 1963 Nichols hired James E. Cavalier to build a Senior School, one year at a time. The first class graduated from the new Senior School program in 1966. A fire destroyed the main building on January 10, 1970, but in true entrepreneurial spirit, Nichols and the Board of Trustees enacted a capital campaign that repaired the main building and added several additional buildings to the campus. What seemed a disaster that fateful day became an incentive to make the school even better than before. 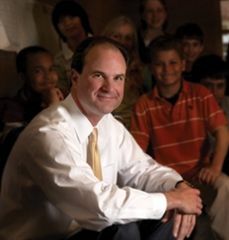 Under Headmaster L. Hamilton Clark’s leadership, the school enacted a Master Plan in 1998-2000 that transformed the campus once again, adding a new building for the middle school, a university-inspired library for Middle and Senior Schools, and reconfiguring almost every other building on campus. Under the leadership of head of school Kolia O’Connor, the school continues to upgrade and expand its facilities and design its curriculum to reflect a forward-thinking global experience. The school recently celebrated its 175th anniversary since its founding in 1838 and the 50 year anniversary of the inception of the senior school. In 1838, John Champ and William Nevin opened a school for boys in Sewickley Bottoms¸ PA. 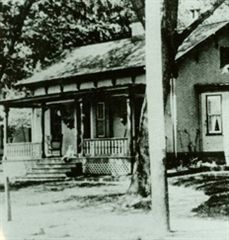 They used local patron Squire John Way’s brick home as the first official school building. 1860 brought the outbreak of the Civil War and many of the Academy's students were drawn into the conflict. The Reverend Joseph Travelli's son was killed in action and the school was ultimately closed. 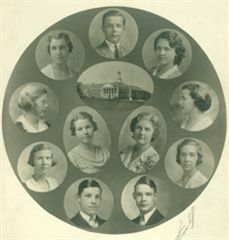 By the mid-1920s, both Miss Munson and Miss Dickinson were nearing their retirements and concerned about the future of their schools. Working with the community, they consolidated their separate schools to form the fifth and current Sewickley Academy in 1925. The Academy opened its doors on the cusp of the Great Depression and the school was not immune to the national financial crisis. In 1933, Alexander C. Tener, Chairman of the Board of Trustees for Sewickley Academy at that time, wrote to all of the trustees asking each to underwrite $300 of the operating deficit for that year, so they could close the books and keep the school open. In 1944, continued concern from the community prompts a reorganization of the Academy. With an entirely new board of trustees with expanded responsibilities, the school began to prosper along with the country. The mens' volleyball team in 1957. In this same year, expansion begins with the addition of a one-story nursery school. 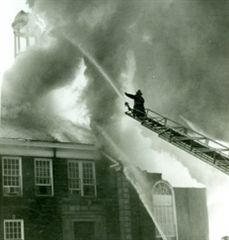 In January of 1970, a fire of unknown origin ravaged Sewickley Academy. An outpouring of community support ensured that much of the Academy's belongings were saved and the school would be rebuilt. During this period, the Academy experienced a period of great expansion. The campus grew physically and teachers began to incorporate new technologies into their curriculums. The 1990s were years of strategic planning, campus expansion and increased diversity. 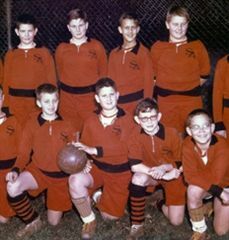 The Academy began to shift from a community school built on strong traditions and a proud history to what many considered the "school of choice" in the greater Pittsburgh area. To accommodate for growth in the student population, Headmaster Ham Clark and the Board of Trustees implemented a new Master Plan for campus expansion that included many new academic spaces on campus. 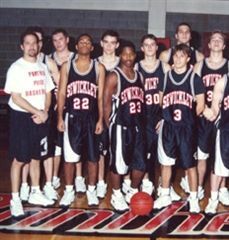 The 1997 boys' basketball team won the PIAA Championship, which was the Academy's first-ever state championship in any sport. In 2004, a strategic plan was developed that included input from 700 members of the Academy community. Centered on these strategic goals, the PICTURE THIS Campaign was launched in 2007 as the most ambitious fundraising effort in school history. The campaign, chaired by Nancy Means '72, Jeffrey Lenchner '77, and Amy Simmons Sebastian '80 added $15 million to the school's endowment - funding many innovative projects that enhanced the educational experience for all students. Academic programs were strengthened and globalized with the addition of Mandarin Chinese and the launch of the Global Studies program, which offered students the opportunity to earn a Global Studies Certificate upon graduation. 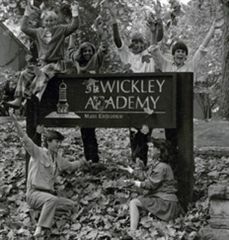 1841: The first Sewickley Academy closes its doors. Despite heavy marketing, the school could not stay afloat financially, and closed in 1841. After the conclusion of the Civil War, community members rallied together to reopen the school. Its headquarters at that time were in the old Presbyterian Church. 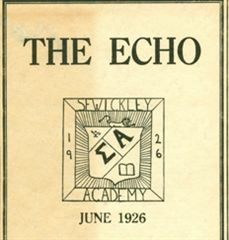 The Sewickley Echo was a brochure/yearbook from the first year of the newly consolidated Academy. 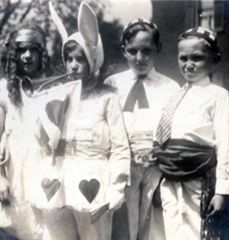 Academy students use their creative skills for a production of Alice in Wonderland in 1934. Students, faculty, and SA families celebrate Memorial Day in 1949. In 1963, the Senior School was built at Sewickley Academy and in 1966, SA graduated its first 12th grade class. The Class of 1974 in the new dance studio. Students begin the groundbreaking for the Oliver Science Building in 1985. 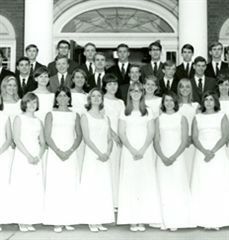 The Class of 1991 during their senior year at SA. The new millennium brings increased technology and a focus on global education to SA. The Clark Faculty Chair was established in 2003 to honor the Clarks' many contributions to the Academy community. 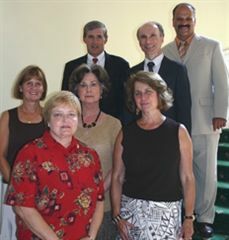 In 2007, Mr. and Mrs. Clark returned to campus and are pictured with past Clark Faculty Chairs: Susan Pross, Patricia Rose, Barbara Carrier, Larry Connolly, and Tom Perdziola. 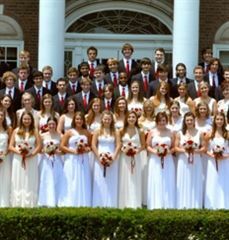 White dresses for women and blue blazers for men have been the traditional graduation attire for Sewickley Academy graduates for over 100 years. 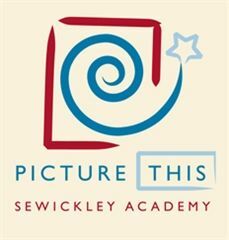 After a series of different iterations of the Academy, Sewickley education is handed over to two educators, Miss Munson and Miss Dickinson. 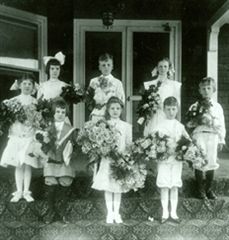 Miss Munson's school primarily served male students while Miss Dickinson's classes were all female. There was a potent rivalry between these two institutions. 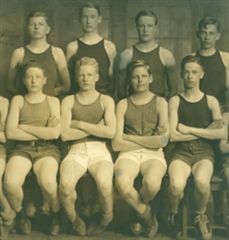 Sewickley Academy's basketball squad in 1927. 1950 brought Cliff Nichols, long-time head of school to the Academy. One of Cliff's signature characteristics was his morning ritual of shaking every student's hand as he or she entered the building. 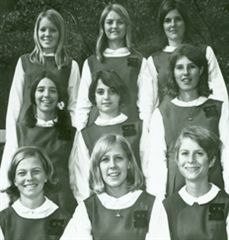 Senior school cheerleaders during the 1967-68 school year. 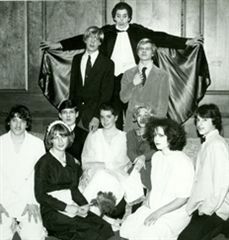 The cast of Dracula Academy in 1979. 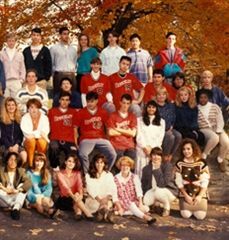 The Class of 1986 frolics in the fall weather outside the main entrance to Sewickley Academy. 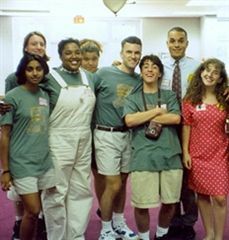 In 1993, as a means of contributing to the Pittsburgh community, Sewickley Academy established its Summerbridge Pittsburgh program, a six-week, tuition-free academic enrichment program for middle and high school students facing limited opportunities. After 15 years of dedicated service, Ham Clark resigned as headmaster and the Academy community welcomed Kolia O'Connor as the new head of school. 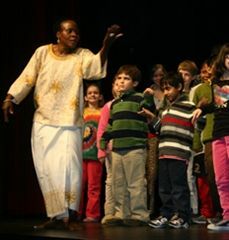 Kolia brought 16 years of independent school experience as a teacher and an administrator. 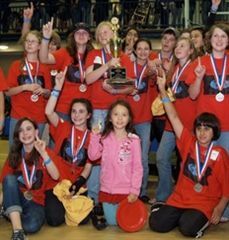 Sewickley Academy students win the 2009 Science Olympiad State Championship. During WWII, Sewickley Academy once again falls into deficit. SA alumni fight hard in the war and contribute to the war effort back at home. The Academy's trustees also pitch in, once again reaching into their own pockets to curb the school's deficit. 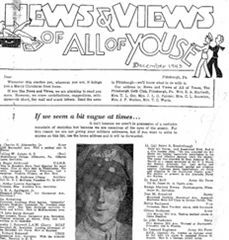 The Sewickley/Pittsburgh community publishes "News and Views of all of Youse," as a means for keeping track of all the Academy alumni, friends, and family involved in the war effort overseas. 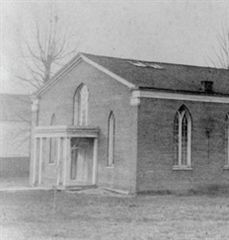 The Reverend Joseph Travelli re-opened the Academy in 1843 and classes were held in the Fife House, formerly located on the corner of Grove and Grimes Streets.